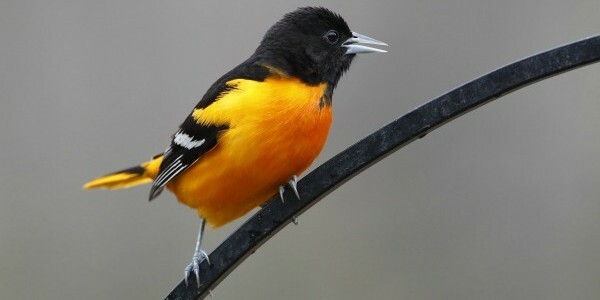 Spring offers the perfect time to catch a glimpse of the beautiful birds in your neighborhood. You might already have noticed woodpeckers and other birds busy about your yard. Often times I am so busy to notice the birds. Not until we added three bird feeders to our backyard did I notice just how lovely a shade of red are the cardinal’s feathers. The birds have given me a bit of a reminder to slow down and enjoy them. 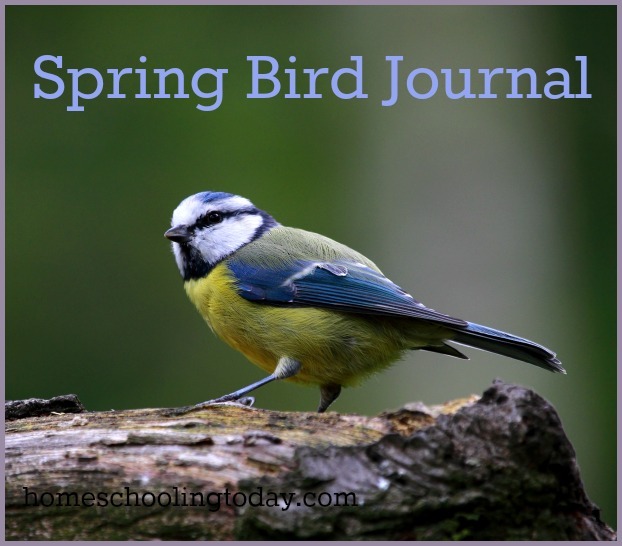 Utilize the spring season as the perfect opportunity to create a hands-on Spring Bird Journal. 1. Hang up different types of bird feeders with different types of seeds to see which birds stop by your yard. Offer nuts, sunflower seeds, pumpkin seeds, and dried corn. Jot down which flying friends stopped by, when, and what they ate. Note if they bring their mate or chicks to eat too. Add a nice bird bath to your yard and see if birds stop different times during the day. For easy homemade bird feeder ideas visit: The Homeschool Scientist. 2. Use Field Guides to identify birds. Sketch, paint, or draw the birds you see this spring. We love Hodgepodge’s chalk pastels tutorials of this Cardinal and Chickadee. 3. Don’t forget to note any flying predators in your neighborhood. Grab binoculars to see hawks, osprey, falcons, eagles, and owls above. Order owl pellets online and dissect an owl pellet to learn about the bird’s digestive system. Taking walks at dusk has always been the best time to see and hear owls in our neck of the woods. My boys enjoy shouting, “who cooks for you” – the barred owl hoot. 4. Schedule a field trip to a bird sanctuary, nature preserve, or Audubon bird preserve. If you do not have one in your area contact your local zoo to attend a bird show or educational feeding time. Bring home pamphlets to cut and paste information like a scrapbook. 5. Wrap up the Spring Bird Journal with a list of birds the student would like to see, but has not yet. Use the list as a “bird bucket list”, and have fun checking off those birds as you see them throughout the year. It might be in person or on television. We hope you are enjoying our Hands-On Spring Series! We will continue with more exciting educational activities next week with: Nests! Stef Layton lives in Orlando, Florida homeschooling two tactile learners. Stef is the Hands-On Learning Columnist for Homeschooling Today magazine. This year she started showing hands-on activities on youtube. You can follow her at her blog or, Instagram, or Twitter @StefMLayton. We’ve been wanting to start nature journaling and my middle son has a feeder at his window. I’ve been encouraging him to write down which types of birds he sees. I like the idea of incorporating some more of your ideas! Fantastic! I can’t wait to hear what types of birds are coming to his window! It’s been cardinals and blue jays here.